Paperback, 6.5 x 9 in. / 96 pgs. Text by John Macarthur, Susan Holden, Ashley Paine, Wouter Davidts. 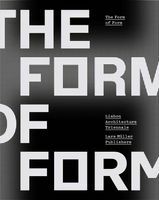 This book addresses the contemporary pavilion phenomenon and those often temporary and functionless architectural structures commissioned and exhibited by art institutions around the world (including the annual Serpentine Pavilion in London, Young Architects Program at MoMA PS1 in New York and the MPavilion in Melbourne). Despite its ubiquity and popular success, the contemporary pavilion has been inconsistently theorized and frequently disparaged. In this thought-provoking book the authors reclaim the pavilion against those that would dismiss the phenomenon as symptomatic of the exhaustion of the critical potential of architecture's intersection with art. 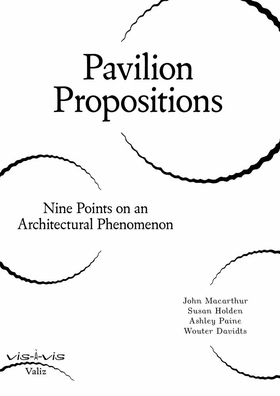 The pavilion phenomenon also occasions a timely interrogation of larger questions concerning the changing relations between culture and the economy—changes that are shifting the planes on which architecture and art meet. FORMAT: Pbk, 6.5 x 9 in. / 96 pgs.